Straight projects or even tasks, that completely derail because of small print for updates. Don’t you just hate that? Microsoft isn’t the only vendor, that sometimes makes little changes with big impacts. But today, let’s focus on Exchange 2016 and its 7th Cumulative Update (CU) released last week, as it relates to Active Directory Domain Services. The support matrix states that the Windows Server 2008 R2 Forest Functional Level is required, but you can install Exchange Server 2016 in an Active Directory environment with the Windows server 2008 Forest Functional Level. When you contact Microsoft Support for issues with Exchange Server 2016 and Windows Server 20160-based Domain Controllers, you might be required to raise the Forest Functional Level to Windows Server 2008 R2. Question #6: When will Exchange Setup force the use of 2008R2 Forest Functional Level for an Exchange Server installation? Answer: The minimum supported Forest Functional Level will be raised to 2008R2 in Cumulative Update 7 for all Exchange Server 2016 deployments. We know that customers need time to plan and deploy the necessary migration/decommission of Active Directory Servers. 2008R2 Forest Functional Level will be a hard requirement in Cumulative Update 7, enforced by Exchange Setup. Cumulative Update 7 ships in the 3rd quarter of 2017, one year after the first announcement. Cumulative Update 7 for Exchange Server 2016 applies Active Directory schema changes and now technically enforces that the Active Directory Forest Functional Level (FFL) is at least Windows Server 2008 R2. 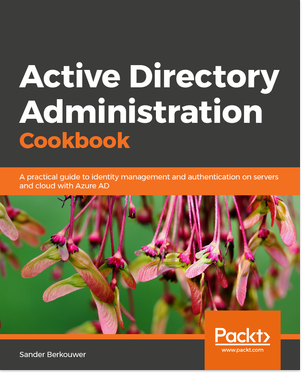 Active Directory admins are required to approve and make changes to the Active Directory Domain Services environment when the organization wants to deploy and use Exchange Server 2016 versions 15.01.1261.035, and up. When the environment still runs the Windows Server 2008 Forest Functional Level (FFL), it must be raised to Windows Server 2008 R2, or up. This requirements means that any Active Directory Domain Controller running Windows Server 2008, throughout the networking infrastructure will need to be decommissioned or upgraded to at least Windows Server 2008 R2. In the Active Directory Forest Functional Levels for Exchange Server 2016 blogpost, the Microsoft Exchange team announced that Exchange Server 2016 would enforce a minimum 2008R2 Forest Functional Level requirement for Active Directory. Cumulative Update 7 for Exchange Server 2016 will now enforce this AD DS requirement.